When Microsoft first launched Windows 8 and Windows RT operating systems only selected Microsoft partners were allowed to come out with devices. HTC was not in the initial list of companies of course. 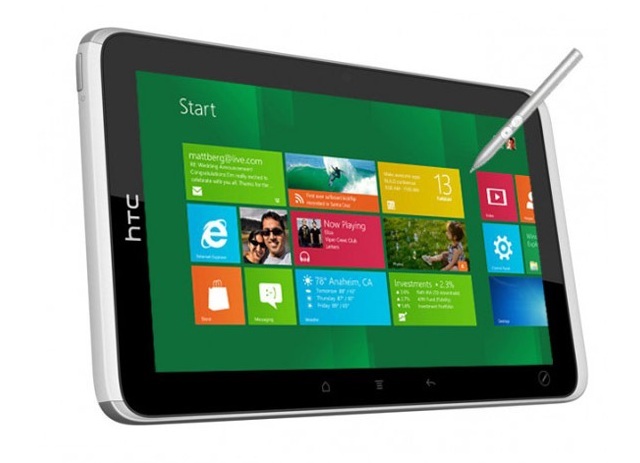 Now that the first wave of Windows 8 and RT devices have made their appearances it is now time for others to follow and HTC will come out its own Windows operating tablets, is what Bloomberg has reported. The publication has reported citing its sources that among the new products to come out from HTC’s stable during the third quarter of 2013 will be a 12 inch tablet and a 7 inch, with the latter to come with cellular connectivity. While neither HTC nor Microsoft has commented on the matter Bloomberg’s sources have further claimed that the new tablets will operate on Windows RT. Both the 12 inch and the 7 inch tablets will be powered by Qualcomm processors, but the sources have also informed that HTC scrapped plans to bring out different versions of the tablets powered by Intel chips because of the high sales price, which would near $1000. At present the global tablet is estimated to be worth $63.2 billion. However, analysts predict that by the year 2015 this figure would double to $123.5 billion. Apple’s iPad holds the largest market share at more than 50 percent and Google is fast catching up with more than 40 percent. Microsoft on the other hand still makes only 2.9 percent of the total share. Though traditional PC makers and Microsoft OEM partners offer a range of Windows 8 and RT devices lack of applications still hurts the new operating system. And one thing that can encourage developers to write more apps for Windows is the adoption of the OS by more hardware manufacturers. Apart from HTC recent reports have suggested that Microsoft’s other smartphone partner Nokia is also working on a Windows RT tablet of its own. Expect the launch of a range of new Windows RT devices at the 2013 CES from non-traditional PC manufacturers as well as second generation of Windows 8 and RT hardware.